Do you travel with your dog during the holidays? Starting in November, we usually spend quite a bit of time going to visit family and friends, as well as going on last minute trips to use up some of my husband’s last bit of vacation. While vacation and visiting family is very exciting for our girls, sometimes long car drives aren’t. Everywhere we go is at least two hours away when it comes to visits, meaning they are spending quite a bit of time strapped down in the car, sleeping or just hoping the trip will end sometime soon. Don’t get me wrong, they are fantastic travelers, but that doesn’t mean they like being bored for hours. 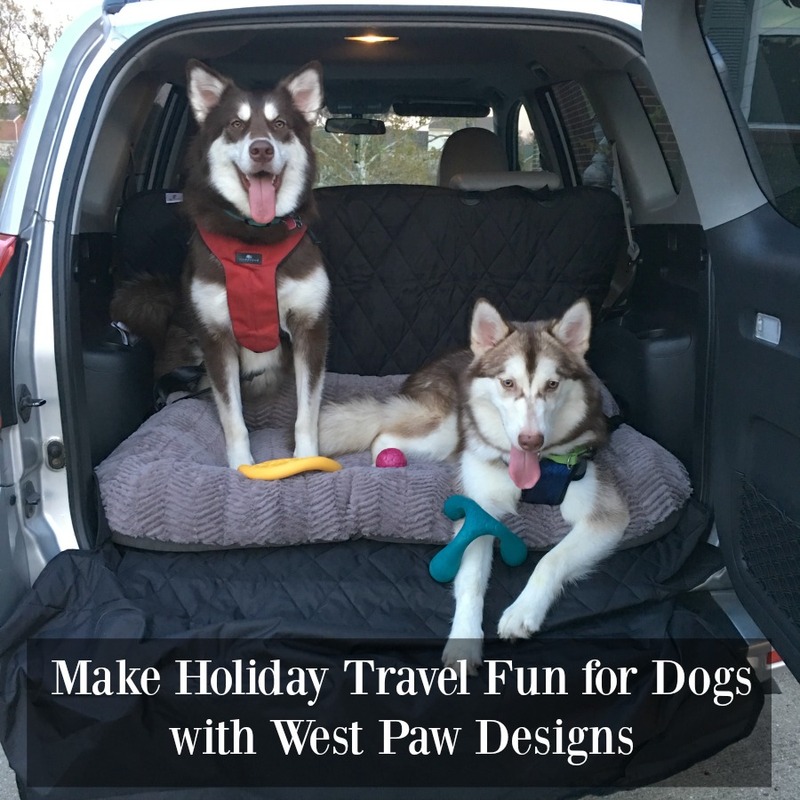 Luckily, West Paw Designs has everything dogs need to make traveling during the holidays more fun for everyone! Even though human seats can sometimes be quite comfy for dogs, they aren’t the best when it comes to long trips. Now that we have an SUV, we can make things even more comfortable for Ivi and Rylie with a West Paw Designs Heyday Bed! These stylish beds have the option of being in all micro suede or in their new plush top and micro suede bottom design, all of them in colors that are great for any home décor. Not only are these beds super soft for dogs, but their microfiber uses a new antimicrobial protection that makes it a smart, more versatile fabric great for camping, car seats, crates, and even condos. We personally chose their new plush top and micro suede design since it isn’t just luxurious, but a pillow design that is great for long trips and is machine washable and dryer safe – making it perfect for our busy lifestyle! Oh, and did I mention these beds are handcrafted in Bozeman, MT and guaranteed durable!? These bed are available in six colors (plush oatmeal, plush boulder, midnight, boulder, oatmeal, and wine) and in four sizes – small ($79), medium ($109), large ($129), and x-large ($159). If you travel with multiple dogs, you know that they can be just as naughty as children in the car, on a long trip. When they have nothing to keep them entertained, there is bitey-face, complaining at one another, and the ever fun game of ‘don’t touch me’ as they are trying to both make themselves comfortable. A large part of the trouble starts when they are bored. Even worse, this naughty behavior can also lead to distracted dog parents, and as we all know distracted drivers are not the safest drivers. Of course, one of the best things for dogs are toys that they can not only chew on, but give them sensory satisfaction with textures, different shapes, and of course, that can be used for a variety of fun doggy games. For dogs that LOVE to play, West Paw Designs has them covered with their Zogoflex Air line of toys! By injecting an all natural foaming agent into their innovative Zogoflex material, they created eco-friendly toys that float and go high in the air, making them unsinkable and unstoppable fun on land or water! As well, all of these eco-friendly toys are made in America and come with the impressive Zogoflex guarantee (they dare your dog to destroy them!). If your dogs are anything like mine, they LOVE balls. Rylie especially loves them, and both have enjoyed destroying tennis balls. Not only are they quickly destroyed, but not so great on dogs teeth since they weren’t designed for hard, doggy play dates. This is why Boz is so amazing! This ball floats high in water and is tougher and safer than a tennis ball with its soft design. It also has a rugged exterior texture that keeps dogs entertained and fascinated for quite some time. As well, while humans can’t typically squish Boz, dogs can compress this ball between their teeth, giving them a satisfying endorphin release. This is much safer than doing the same with a tennis ball, since they sometimes contain nasty toxic glues and lead. Boz, thankfully, is squishy and durable without using toxic chemicals or materials, making it a totally safe, eco-friendly toy for dogs of all sizes. Boz is available in three colors (currant, dandelion, and peacock) and two sizes – small (2.5”) for $12.95 and large (4”) for $17.95. As you may know, while many dogs love throwing discs, they aren’t exactly the safest for dog mouths. Dash is a high-flying disk that is gentle on dogs’ mouths and on human hands too! With the toy’s curved profile, it provides a pulsing, strobe effect during fight that allows dogs to better track it in the air. As well, its design makes it smooth and easy for dogs to pick it up off the ground themselves after a smooth landing. What really makes it great is the soft, pliable material that won’t hurt dogs’ mouths and allows the toy itself to float if it lands in water. In the end, this makes playing with an Air Dash fun and entertaining for dogs, even those who aren’t normally interested in playing fetch! 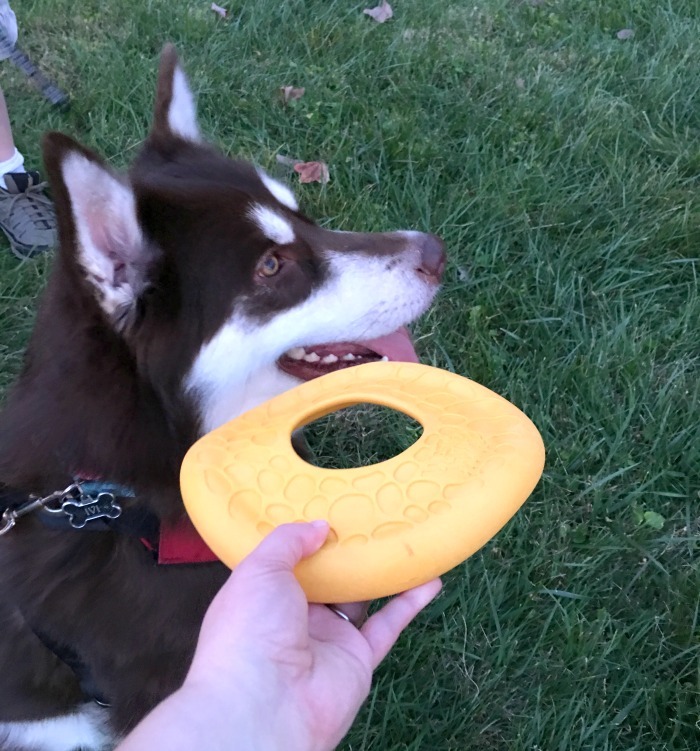 When not in play, the design is also great since dogs love the texture of the toy itself, making it a great snuggle toy in the car after a long game of fetch during a pit stop. DASH is available in three colors (currant, dandelion, and peacock) for $19.95. Don’t be fooled by this toy’s wonky design, Wox is designed to encourage dogs who love to play with toys by tugging, tossing, or even shaking them. What makes WOX great for humans is its gentle grip, which is designed to be easy on human hands and canine jaws alike, making an epic three way tug-o-war game and keeping dogs entertained and fascinated with its unpredictable wiggly bounce. As well, it can go with dogs anywhere for an interactive or solo play session since dogs love chewing and tossing this fun toy up in the air. Currently, WOX is available in three colors (currant, dandelion, and peacock) for $17.95. Want to purchase one of the awesome products featured in this article? You can find West Paw Designs toys, beds, and other products for both cats and dogs on their website. Also, don’t forget that you can find a retailer near you as well using their retailer locator. Make traveling and playing more fun for our furry family members with West Paw Designs – they are sure to love these fun, eco-friendly products this holiday season! Want to learn more? Check out West Paw Designs on social media! I love this and love hat you have your vehicle not only protected but comfortable for the dogs to travel , I also like that you allow play time for the dog with fun toys . Ditto for all my 3 dogs!! Those dogs in the trunk are traveling better than the humans! lol. I wish my dog liked toys. I’d love it if you could toss a ball for her but she’s just not interested. I usually end up giving her toys to my sister’s dog who LOVES toys. My dogs would love all of these things. The bed would be far more comfortable for travel than the blanket they have now. Shiloh especially would love the toys. Again, those dogs in the SUV travel more comfortably than the humans! We’d take our dog’s bed with us when we travel so that she’s comfortable at our destination. I love the Zogoflex toys!!! They sound like something my pups would love to play with. My black retriever/border collie would love the floating toy and my Peekapoo would love the other one because he is a chewer and a shaker!!! 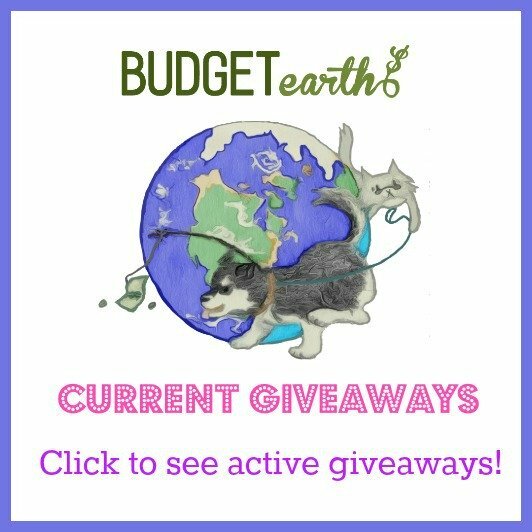 I am always glad to read your post on pets and pet products. I have purchased a few things for my pets on your recommendation. I really like the dog bed in the back of the car. They look like they really like it. What a wonderful collection of pet products. I know our sweet boy would love a new bed, as well as some fun new toys! I don’t think there’s anything better than seeing your fur friend having fun! It’s even better when you know they are playing with safe toys and can come home to a Heyday Bed to relax after a few hours of playing! I like that the bed is washable! Super important. Looks very nice and comfy and our dog would really enjoy that!! All of the toys look great, too! I like that they float. We quite often do like to play fetch in the water when the weather permits! This looks awesome! Our one dog is all about car rides, but he likes his bed to go with him. The other has a harder time, but this might help her out. Th bed’s microsuede looks like it’s just what I need! I’m so tired of having to throw beds away due to accidents, dog and human! And the unique toys look like great fun!!! Your puppise sure look like they are having fun with the wonderful toys from West Paw. This company sounds like they have it going on. Thank you for bringing them to our attention. Its is always grest to purchase items made in America. What a variety of toys for the pups. I like that they are eco friendly and the Boz seems like such a better choice that a tennis ball that could be bad for their health. My dogs would love to try the Zogoflex Air BOZ. They can destroy just about any toy I buy them. Maybe these would last a minute! The new bed would be nice for BO, who is a Boxer and 5. Kosher Dill Pickle is a Terrier mix and under 2 would love the toys. Man, I need to get some of this stuff for my dogs. They are horrible in the car. The products are brilliant and well designed. Anything that helps to keep our pets safe and entertained is well worth it; thanks for the chance! I love that they make toys that are more durable. I hate buying a toy and having it be destroyed in 2 minutes. My dogs really go through dog beds. I’ve bought some cheap ones that were worn out or torn up in no time. I’m always looking for good quality beds that are also comfortable for my pack. These sound great. My dog rumple loves the zogoflex toys!!!! Very durable for our chewing puppy. We used to bring him to work with us everyday but had to stop when we combined our two businesses together and served both humans and pets at our bakeries. Now he travels with us to various dog parks and family homes for holidays and special occasions. My 2 Boyswould just Love any of these awesome Products. West Paw has really Renovated the dog toys for definite Satisfaction. Just love these squish flat toys. I can just see my two running after them when we toss them. We have smaller Dogs Toby is a Pug and Caesar is a Yorkie. Si being flat and squishy are great for them to hold onto. I was amazed by them. The colors are Great too. It is always so much fun to travel with my dogs! I love to take them on walks and it helps me to exercise at the same time! Love the washable bed. That is awesome. Dexter would love the AirDax toys. He loves to fetch things. My girls love toys and they have even destroyed a kong, eventually. I’d love to try Zogoflex Air WOX as I can’t throw as far as I used to or play tug of war anymore. I could get them to drop this and then if it’s a good glider, get some distance in, enough to wear my girls out eventually. West Paw travel items are the best!I love,love,love the Boz!Beauregard will have a blast with this toy.Beauregard loves to stop at rest areas along the way to potty and of course play.He is the best traveler ever.Love my boy. I love wet paw design toys for the the pups especially since Cody is a toy destroyer. I can see these as great toys to take for travel to since they are durable and easy to clean. So many neat things!! My fur baby would love most of it. She is tiny, so I would have to look at different toys and smaller beds, but they seem to have EVERYTHING you could possibly need for traveling with your fur babies! We like to go to the dog park across town often, and she could travel with me in style! We should set up a comfy thing like that in the back for the dogs. As it is they are on the middle set. It has a cover, but it’s not as nice and comfy as what you have. Traveling with my best friend is the only way to travel!! I couldn’t imagine traveling any other way!! It would be so nice to lay down at night knowing my baby is snug as a bug in a rug!! This would be so nice!! Thank you for the chance!! I love that bed! It would fit perfectly in the back end of my Trailblazer and I could put both my dogs back there. Great idea. Our dogs would love new beds. We have some all around the house, and new toys are always welcome. This is the first time I have heard of West Paw. The products look better than the ones I have been getting at my local pet supply store. Wow neat Toys and Beds! I love that they guarantee their Products, I am sure that my Puppy would love them! Thanks for the Post, Pictures, and the Link!